Out of all of the countries within Southeast Asia, budget travellers especially tend to spend the least amount of time in Singapore. 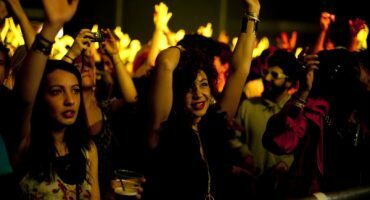 Yet, Singapore is often seen as the alternative hub of Southeast Asia and offers many distinctive things to do and see. 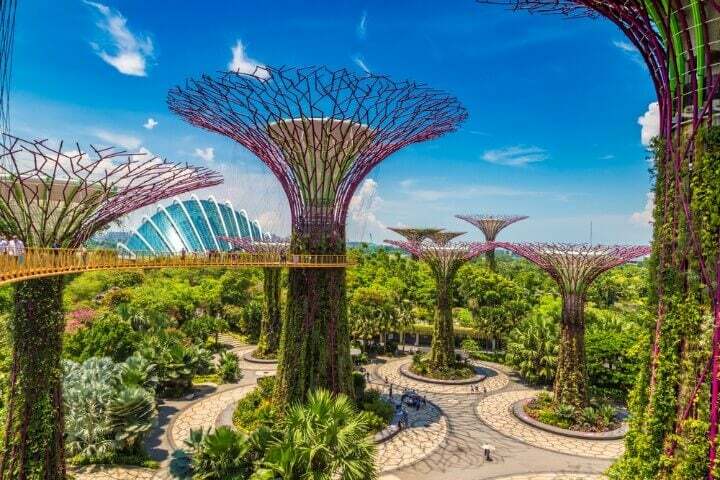 Home to arguably the best airline and airport in the world – Singapore Airlines and Changi Airport – Singapore is a well-manicured country in comparison to the rest of Southeast Asia. It’s evidently cleaner, has strict rules and has all the visual elements of a fast growing, innovative nation. Not to mention, it’s only the world’s most EXPENSIVE city. 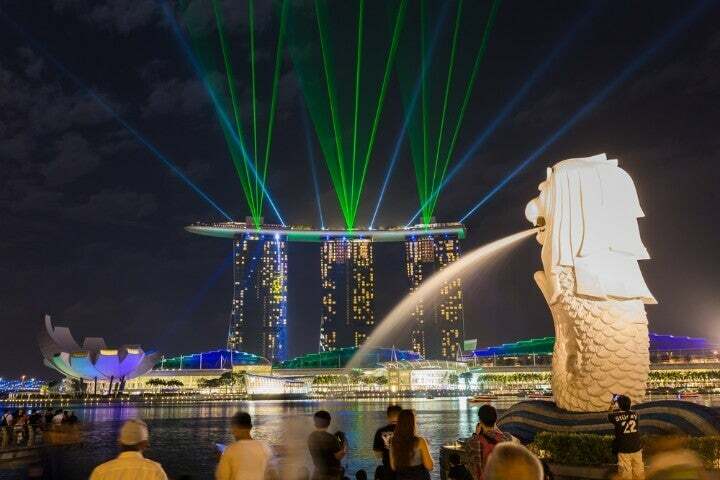 Visiting Singapore definitely requires a different approach, but rather than shun that, it’s time to embrace the free things Singapore has on offer! Marina Bay Sands is the postcard of Singapore without question and everyone can get a glimpse of this modern phenomenon for free. Check out their daily Light Show that runs everyday at 9pm or 10pm and on Friday and Saturdays you get an extra one at 11pm. The Marina Bay Sands is worth the visit, especially to the SkyBar, but it won’t be cheap. 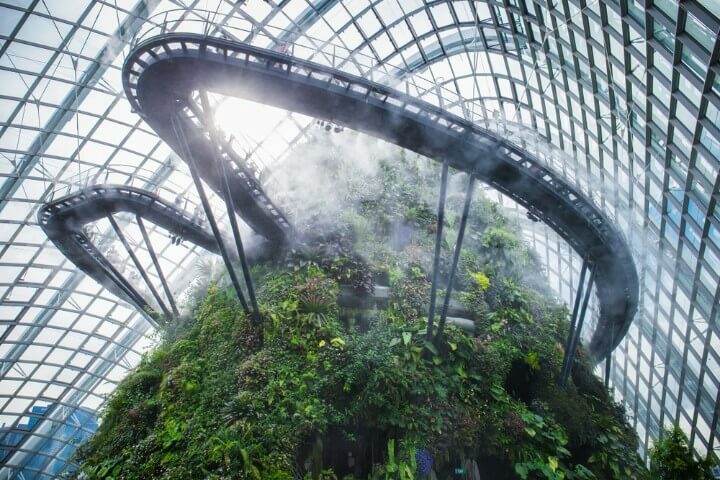 You can gain free entry into the Gardens By The Bay all day, every day but some of the attractions inside will require a fee. 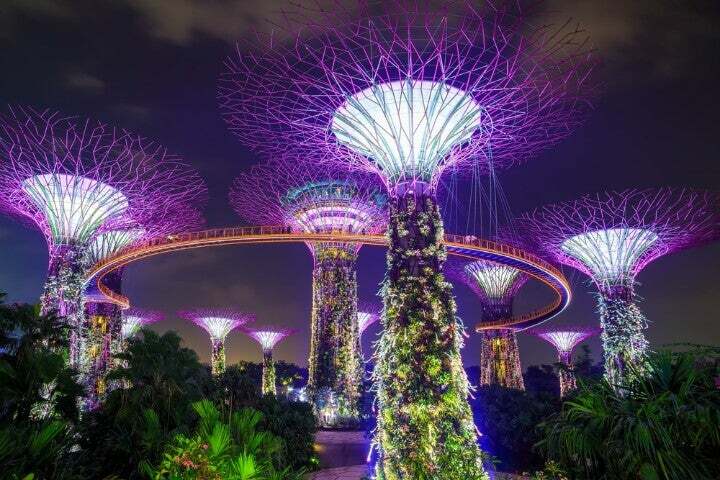 Nevertheless, imagine you’re in a real-life world of Avatar, with giant grove trees such as the iconic SuperTree Grove. You’ll feel like you’re on a different planet. Best to visit here in the mornings or around sunset time. 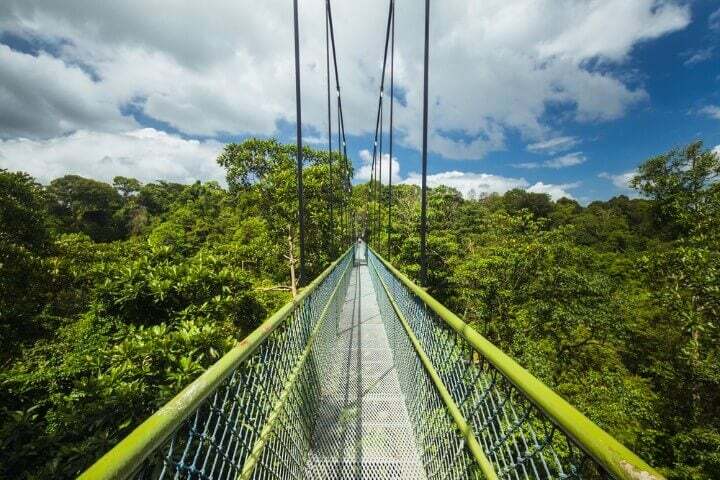 eDreams Tip: Speaking of tree’s, head out to MacRitchie Resevoir and do the TreeTop Walk; a outstretching suspension bridge connecting inner Singapore. 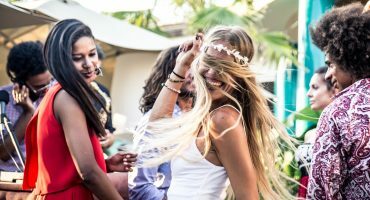 Although Sentosa is another deluxe destination in Singapore, you can do it on the cheap. Where there are islands, there are beaches and more often than not, beaches cost nothing. 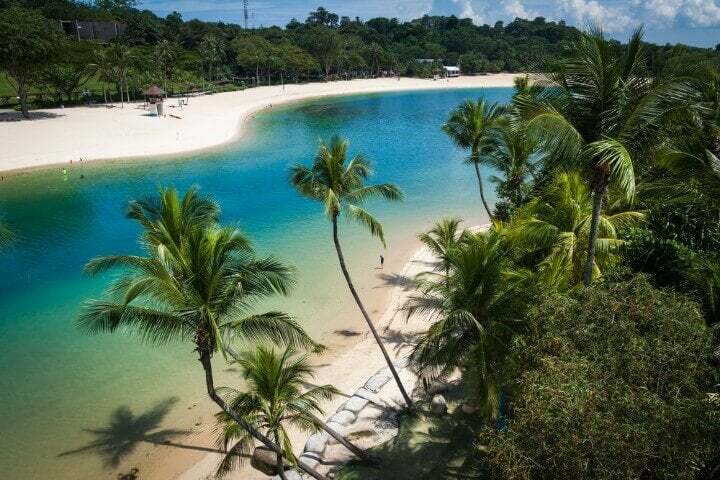 Palawan Beach is where you should head too. 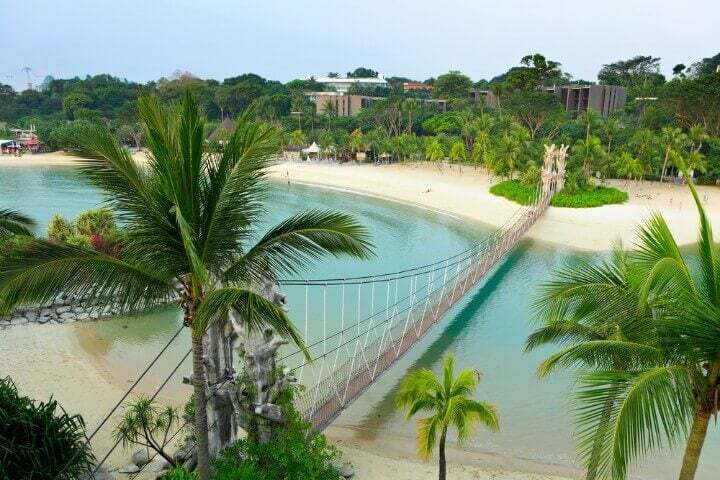 With Sentosa’s limited amount of beaches, this one is for all. Grab some carry out from the store, whether it be food or drinks and enjoy beach life without breaking your budget. ✈️ + 🏨 Search for flight + hotel in Singapore! Learn about Chinese Mythology at one of three Tiger Balm Gardens in the world (the others being in Hong Kong and China). Although this theme park is showing a little rust, it still has a status of being an authentic attraction in Singapore. 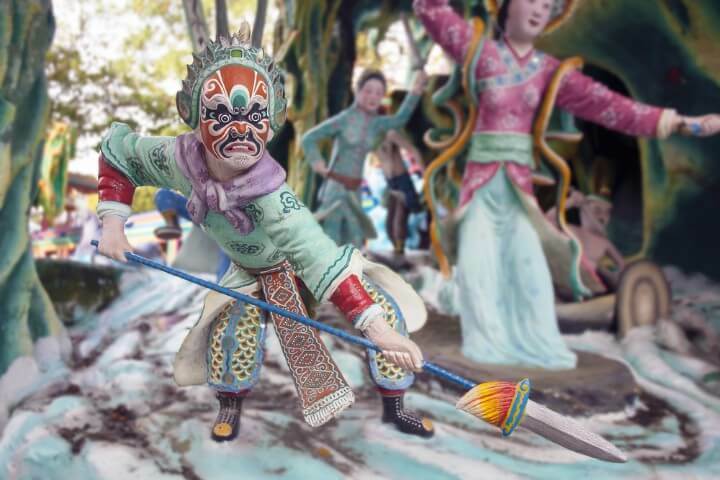 View life-sized statues that depict Chinese folklore stories that continue to amaze. 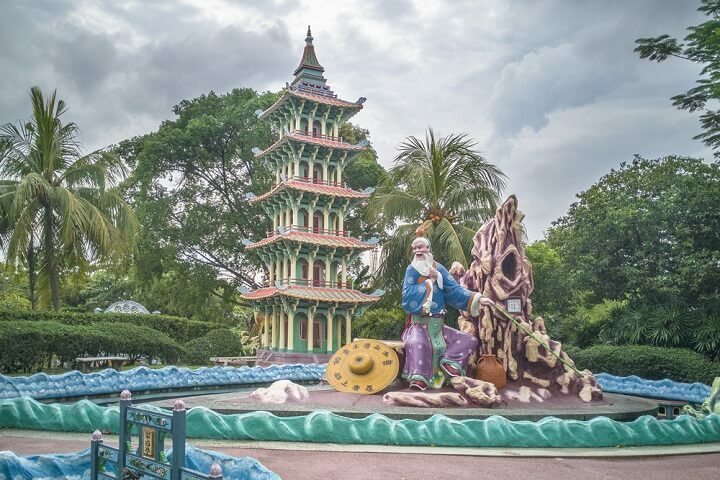 Created in 1937 by the Aw Boon Haw – the original producer of Tiger Balm – this cultural park boasts a strong heritage that still stands proud 80 years on. 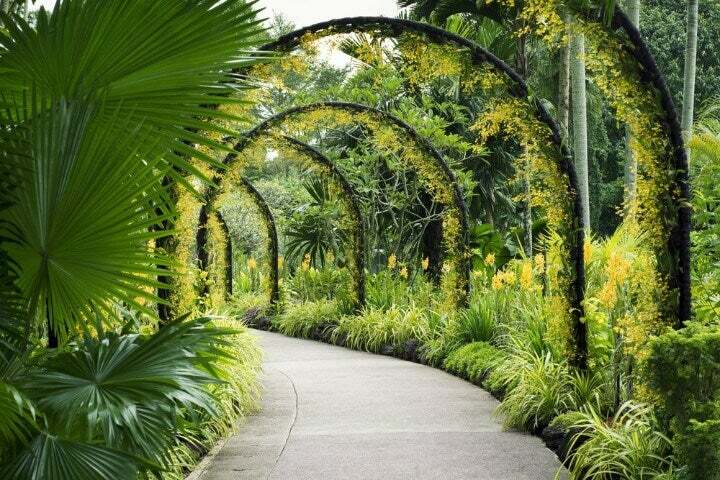 Go even greener in Singapore and check out the peaceful Botanical Gardens, home to thousands of orchids and some interesting bird species like owls, hornbills, kingfishers and black swans. You don’t have to go far to get here, with the gardens not far from the city centre. After a while, you’ll need a break from the big city exploring so heading here is an ideal for a more calming environment. If that’s not enough, UNESCO think it’s pretty important, marking it as a World Heritage Site a few years ago. 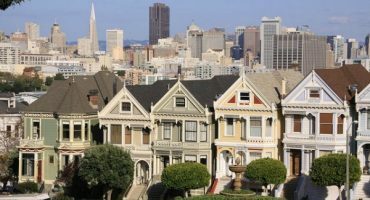 Definitely visit here! 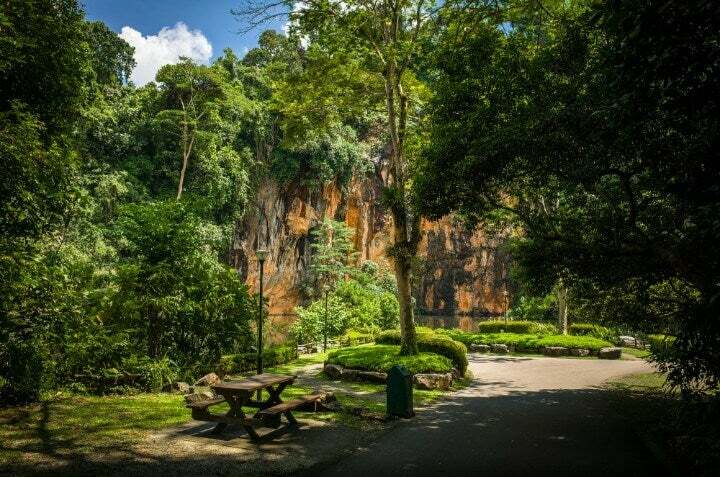 eDreams Tip: If you liked this attraction also check out Bukit Timah Nature Reserve, full of lush flora and fauna. 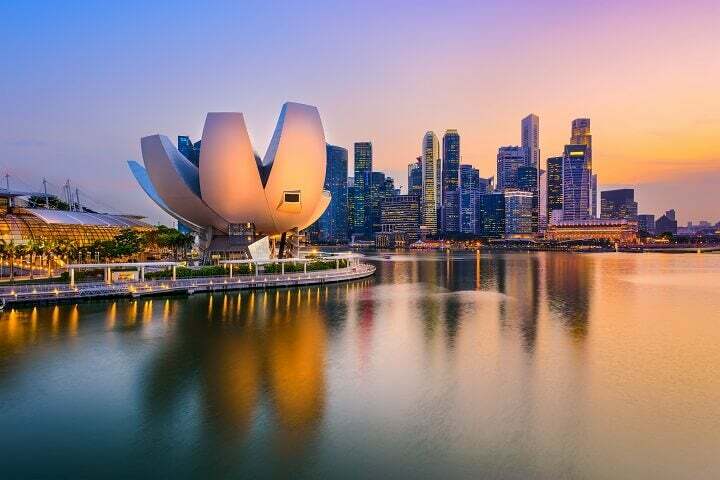 ✈️ Search flights to Singapore! Singapore is clearly full of glitz and glamour but it does have some original pockets of what old Singapore was. 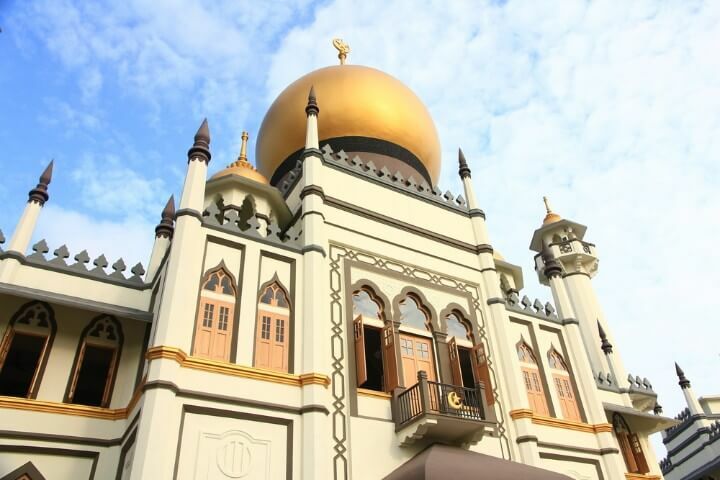 Kampong Buangkok is the last village of the 21st century remaining in Singapore and has become a bit of a fascination with intrepid travellers. 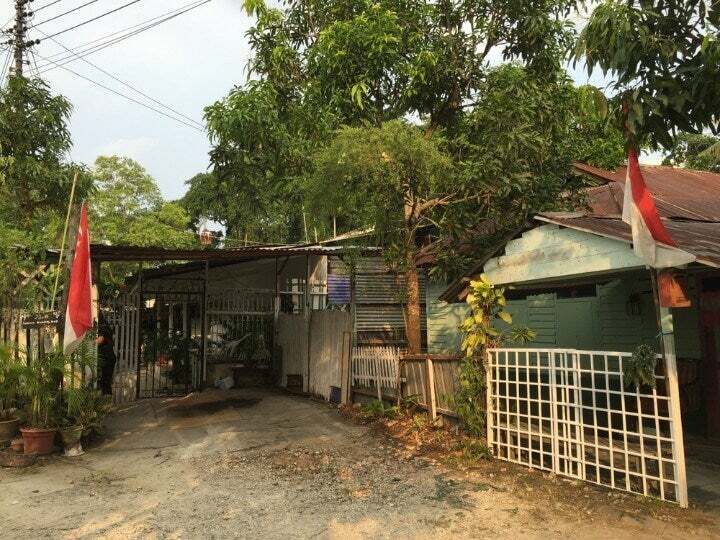 If you decide to come here, take your camera to get some shots of what authentic Singaporean village life was like, that has almost been forgotten due to the nations modern way of being today. Although they often don’t get big mentions, Singapore has a bunch of museums that are completely free. The Changi Museum represents people who have lived and died in the country and with special focus on World War II. If you want to keep on the history trail you can also visit the Air Force Museum and the Republic of Singapore Museum. 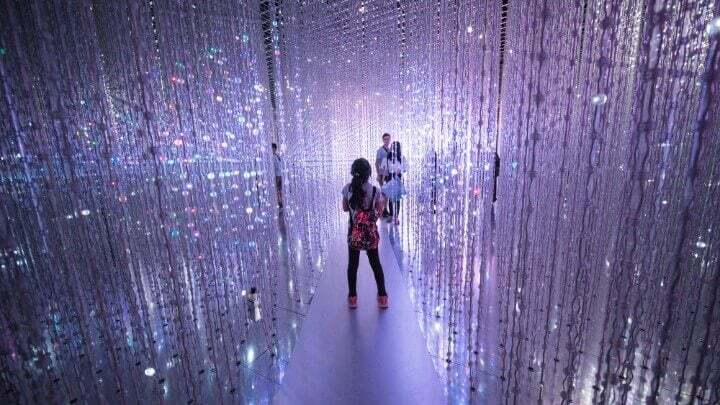 eDreams Tip: For a different type of experience go to the ArtScience Museum. 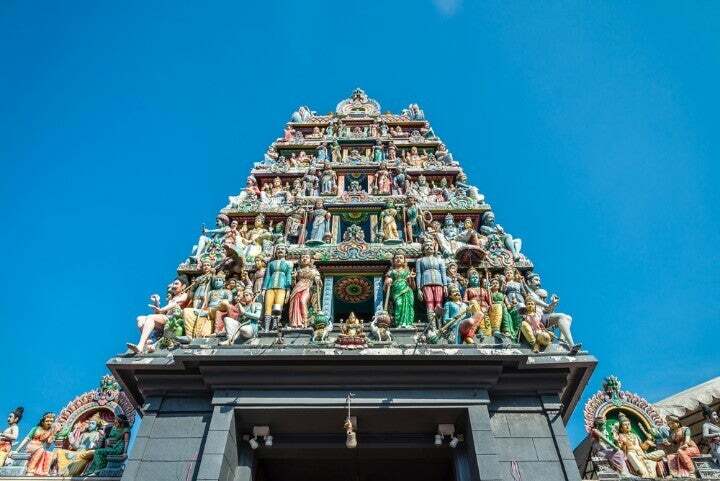 The most attractive temple is Sri Mariamman Temple, covered with colourful mythological creaturees and like some of the other temples in Singapore, it’s free to roam! 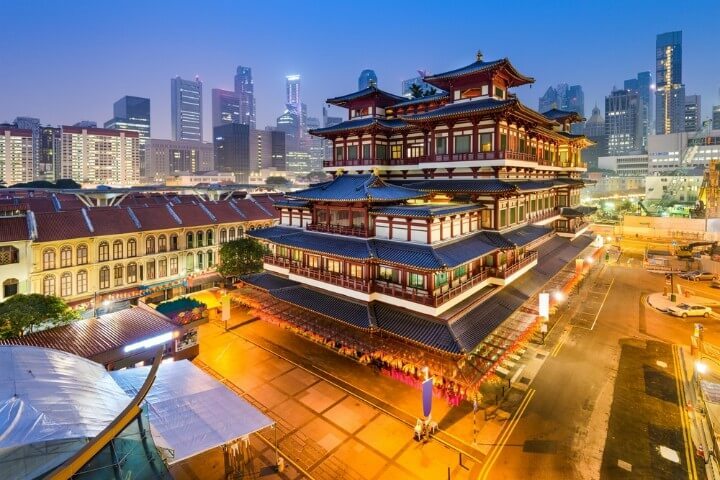 The fascinatingly named Buddha Tooth Relic Temple is home to rooftop gardens, art exhibits, relics and pagodas. If you’re lucky, you’ll catch some monks making their devoted chants. The Sultan Mosque, looks like something out of Aladdin. A vocal point of Muslim worship means that it’s anything but deserted, so check out the appropriate times to visit. Even not technically free, it doesn’t cost much to get a boat to Pulau Ubin. This is its own island so it’s definitely a little off the beaten track, but still definitely worth it. 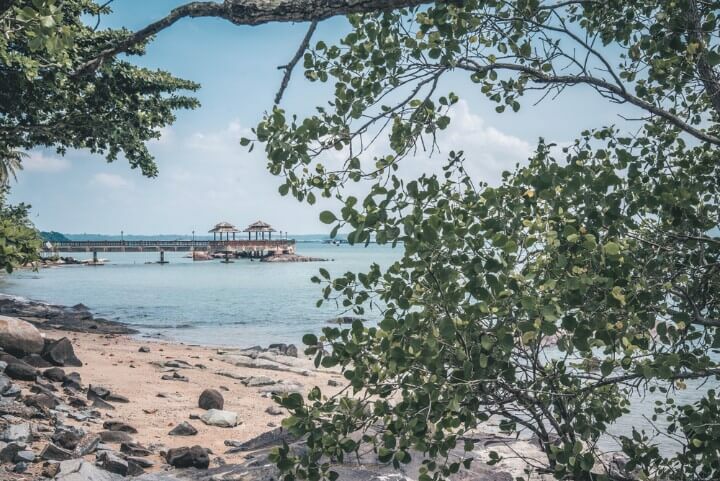 Winding roads, beautiful quarries and an essence of calm is what you can expect in Pulau Ubin. If you like to cycle, hire a bike and enjoy the area that way! 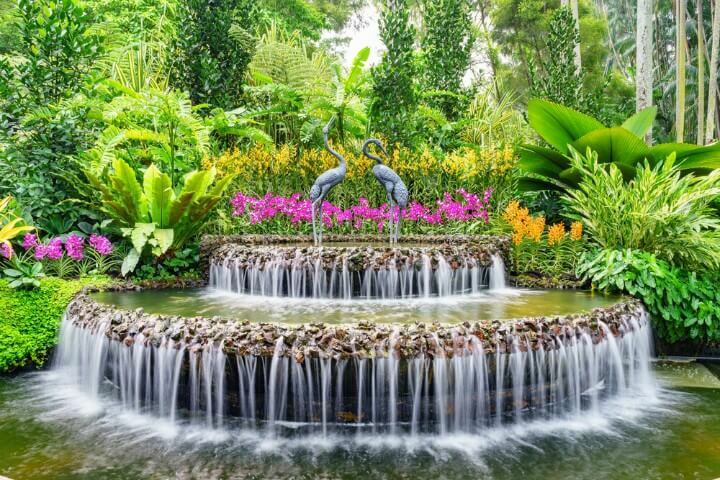 Unlike other parts of Asia, it is safe to drink the tap water in Singapore. Make sure you use a re-usable drinking flask, and get filling up!